Captain, what is that, a Buck Rogers ray gun? Have we entered some sort of time shift portal? No, Cadets, that is our feature rifle for this month, the Windham Weaponry SRC-THD with its unique Thordsen Stock. A variation of our Sight Ready Carbine, it features a highly accurate chrome lined chrome moly steel barrel with a crowned muzzle, a 10-round magazine and Thordsen stock, along with all of the other components of our SRC models. Of course, this rifle is backed by our industry best Lifetime Transferable Warranty. If you happen to be going to the NRA Annual Meeting & Exhibits in Louisville, Kentucky (their 145th by the way! ), please stop by to see us at at Booth #2847. You can see many of Windham’s models, as well as our Multi-Caliber System RMCS-4, which offers 4 calibers in the same rifle through interchangeable barrels, bolt carrier assemblies (as necessary) and magazine wells. We will be at the show from May 20th to 22nd and would love to say hello. Our rifles and accessories can be seen at www.windhamweaponry.com or call us for a free catalog (1-855-808-1888). For anyone that has purchased a Carbon Fiber rifle and wishes to use a suppressor, the receivers have to be upgraded to aluminum. To inquire about this upgrade and the cost just give Customer Service a call at 1-855-808-1888. QUESTION: I would like to install some accessories on my AR rifle. Can I have them installed by a Windham Weaponry gunsmith? ANSWER: Should you wish to have accessories installed that we carry, you can send your upper or rifle to us and we will install them for you. Please give us a call (Toll Free: 1-855-808-1888) to set up a return authorization before sending your rifle or upper to us. We do not charge labor/gunsmithing on parts you purchase from us. If you already have parts/accessories that you wish to use, we will install them for you at our Gunsmithing labor rate. Please give us a call to discuss what parts you have and we can give you a cost estimate, and set up a return authorization to ship your parts to us for the installation. In this Section, we feature comments and photos from our Customers. 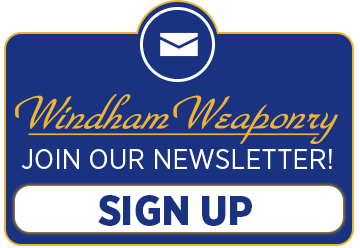 We welcome your submissions at newsletter@windhamweaponry.com. I first heard about Windham Weaponry about a year ago, while I was in the market for an AR chambered in .308. I considered many different companies, but on recommendation from my local FFL dealer, I decided to give Windham a shot. The rifle has performed flawlessly for the past year, having close to 1000 rounds through it. Since then, I have bought numerous items from the Windham store, including a Midwest Industries rail and low profile gas block for my .308. I have also bought a heavy buffer from them for my non-Windham AR15. Every single time I have dealt with Windham, they have been very quick about processing and shipping the orders, and every part I receive it TOP quality. I am forever a fan of Windham Weaponry, and hope to do much more business with them in the future. Keep up the great quality! I just wanted to say that I really appreciate how helpful and friendly you guys are. You make me feel like I matter as a customer. It is refreshing, most of my customer service experiences with other companies can be described as mixed at best. I will definitely go to you for my AR needs again in the future. You are a credit to the industry, and I wish more people would follow your example. Finished my Windham Weaponry Duracoat Camo project. Wanted to share with you guys. This is my first AR and I’m damn glad I picked Windham!!!! It’s fantastic, I tried a different type, and this one here smoked that one all over the place!!!! I’ll be back and I’m spreading the word to my friends. One of these days, I’m going to be getting me a hat so everyone can see it. This height adjustable MonoPod replaces the pistol grip screw, extends below the pistol grip and serves as a stabilization point for bench rest and other high accuracy shooting needs. All steel construction with a black oxide finish, its knurled locking wheel adjusts the stem to the desired height. The stem screw is 3″ long (3/8 x 24 thread pitch). A replaceable rubber base on the stem is provided a for solid, non-skid contact point – especially when used with a bipod on the forend of the rifle. Shown both separately, and installed, in photo. Made in USA. This durable, multi-purpose and essential tool clamps into a bench vise so that you can then slide a .308 lower receiver magazine well down onto the upper portion. It is designed to work with .308 lower receivers that accept SR25/DPMS style magazines and provides a stable platform to perform a variety of repairs or installations. CNC cut NO-MARÂ® polymer construction protects your receiver’s finish. Multi-LockÂ® feature locks receiver in any position – install through top or bottom of magazine well. It works with the upper receiver installed or removed and provides access to trigger guard, pistol grip amd buffer tube to make trigger and safety installations much easier. Works in any size bench vise and the machined support lip avoids any strain on your magazine release. Made in USA. 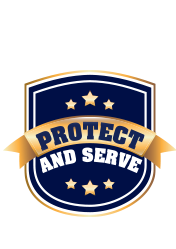 April brought with it some great stuff for Law Enforcement here at Windham Weaponry. I would like to give a big THANK YOU to the guys at the Police Training Academy at Kansas City, Kansas for hosting WW for a Demo day. We had 42 officers from several area departments attend which made it a huge success. We were able to put lead down range using several different WW rifles (Full-Auto and Semi-Auto) with NO issues at all. A special thanks to Senior Master Patrolman Brian Trzok for being such a great host. May is going to be an exciting month as we will be attending the NRA show in Louisville, KY from the 19th to the 22nd. We will be in Booth #2847 so please come by and see what’s new from Windham Weaponry. If you’ll be visiting Maine or live in the area, join us for a Special Event June 11th at the Windham Indoor Shooting Range and Windham Weaponry Production Facility!